0011 Bed in Black Walnut by Atlantico. From Velocity. Available in four sizes: Twin $2245.00 to King $3295.00. Matera Bed from DWR. Available in Queen and King, with or without storage. Prices start at $2500. 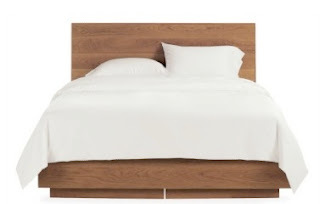 Anders Bed from Room and Board. Solid walnut Queen $1,399.00, King and Cal King $1,599.00. 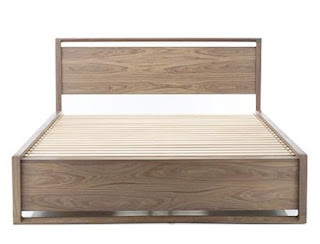 Again from Room and Board, the Hudson Bed in Solid Walnut has roomy storage drawers. $2699 for the Queen, $2899 the King and California King. 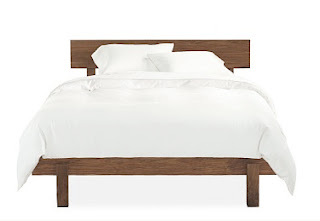 My final choice from Room and Board and perhaps my favourite, the Grove bed. Queen $1599, King and Cal King $1899. Unfortunately the online stores aren't great at telling you how high from the floor the bed will be so picking one isn't as easy as I would like, but the Matera has a platform height of 15", which with a 10" mattress on top, should make standing up in the mornings a whole lot easier. 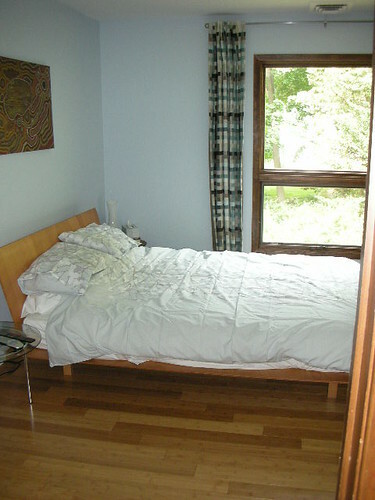 I think I prefer the Grove bed too. It seem so "light" to me. More so than the Matera. The other look - I don't know - clunky? I guess depend on how they look in the room. I too would vote for The Grove. I like the lines. But how nice would the storage in The Hudson be? Or maybe you have tons of closet space already? I too like the Grove, but am drawn to the Hudson as well. Good picks! Not everybody opens their bedroom furniture up to a vote, you know. Just curious- what did u go with? 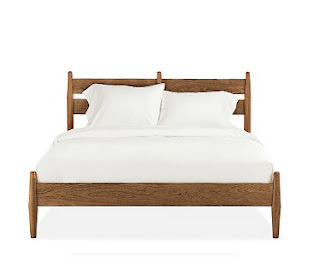 I just saw the grove bed at a store, and its stunning - so was the matching dresser. I am probably going to order the set.